Most historians agree that Buddhism originated in northern India in the 5th century B.C.E. 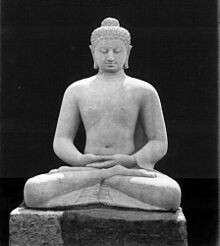 The tradition traces its origin to Siddhartha Gautama, who is typically referred to as the Buddha. Siddhartha observed the suffering in the world and set out to find an antidote. Through meditation and analysis, he attained an enlightened state of being that marked the end of attachments, and ultimately, upon his death, release from the cycle of rebirth. The Buddha's teachings are often summarized in the Four Noble Truths, which form the basis of the first sermon he delivered after attaining enlightenment, and the Eightfold Path, which provides a basic guide for how to live in the world. Sila- their golden rule, everyone is equal. Samadhia is a form of meditation which they believe that pures their souls. Buddhism has been divided into two branches, the Mahayana and the Hinayana. 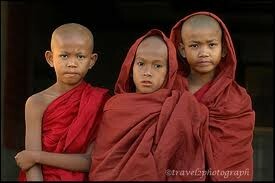 Theravada is believed to be the oldest form of Buddhism. The term itself comes into use later, but the Theravada tradition upholds the monastic path and adheres to the oldest surviving recorded sayings of the Buddha, collectively called the Pali canon. These original texts were set down in the Pali language by monks in Sri Lanka in the first century CE. Prior to this codification, teachings had been transmitted orally, and concern arose that original texts must be preserved in light of the growing heterodoxy that was developing in India. Mahayana is a philosophical movement that proclaimed the possibility of universal salvation, offering assistance to practitioners in the form of compassionate beings called bodhisattvas. The goal was to open up the possibility of buddhahood (becoming a Buddha) to all sentient beings. The Buddha ceased to be simply a historical figure, but rather was interpreted as a transcendent figure who all could aspire to become. Buddha is thought to be the most important person of all within the Buddhist way of life, with his teachings Nirvana could be reached. The Buddhists believe that Buddha is reincarnated through the Dalai Lama and that he is reincarnated over and over. The Dalai Lama is found through search, signs from uncertain forces can point towards the successor of Buddha. Since the Dalai Lama is a reincarnation of Buddha, he is born as it, not changed into it. The Dalai Lama teaches those who wish to listen the way of life to possess true inner peace and reach the ultimate goal, Nirvana or Enlightenment. 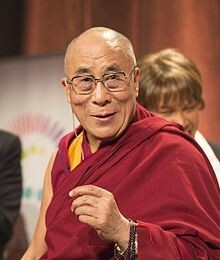 The current Dalai Lama, Tenzin Gyatso, was found as a child after the 13th Dalai Lama's death through signs; which include visions, the 13th Dalai Lama's body changing directions and facing towards Gyatso's home, and more. As soon as he was found, the new Dalai Lama passed the test and accepted with honor. Summary: The Dalai Lama is the reincarnation of Buddha and he is the ultimate teacher within the Buddhist way of life. He is mainly there to guide the people to the ultimate goal known as Nirvana. There are three main scriptures or holy texts that are important within Buddhism; the Tripitaka, Sutras, and Tibetan Book of the Dead. The Tripitaka is the earliest writings of Buddhist teachings, although the teachings were originally only spoken, this was the first time they were written. All Buddhists follow these as they originally came from Buddha himself. The Tripitaka was written on long narrow leaves that were sewn together at the edges, all though many teachings have been added to it over the centuries, these leaves remain intact as a constant reminder and base of the original. The Sutras of Buddha are believed as holy, but generally applies to only the Mahayana branch of Buddhism. Sutras are writings that apply to the Mahayana Buddhists concepts. They explain the world and human nature as it fights all teachings. The Tibetan Book of the Dead is the most known text to those outside the Buddhist way of life, written by a Tibetan monk, it explains the stages of death or the 49 days from death to rebirth until Nirvana is reached. Summary: There are three main scriptures within Buddhism; the Tripitaka, Sutras, and Tibetan Book of the Dead. The most significant symbols in the Buddhist way of life are the Eight Auspicious Symbols. 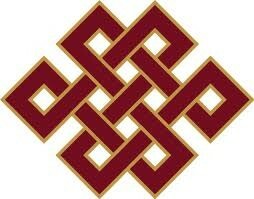 These symbols explain a modern version of Buddhist teachings. The Eight Auspicious Symbols include: Parasol (royalty and spiritual power), Golden Fishes (good fortune, fertility and salvation), Treasure Vase (spiritual and material abundance), Lotus (mental and spiritual purity), Conch Shell (the fame of Buddha’s teachings), Endless Knots (infinite wisdom of the Buddha), Victory Banner (victory of the Buddha’s teachings and wisdom over ignorance), and the Wheel (the teachings of the Buddha). These symbols are plastered all over countries that have Buddhism within, especially Tibetan prayer flags. 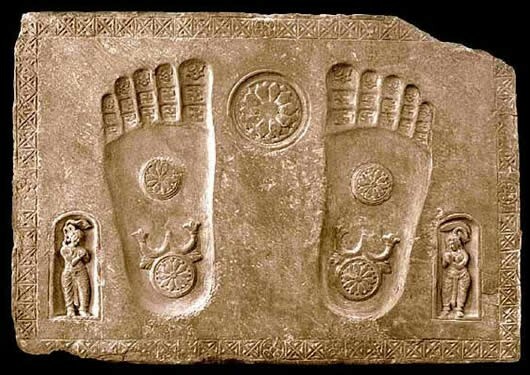 Other symbols include, the Bodhi tree and Buddha’s footprints. Summary: In modern times, the Eight Auspicious Symbols are the most important. Buddhist places of worship depend on the location or type of Buddhism in the area. 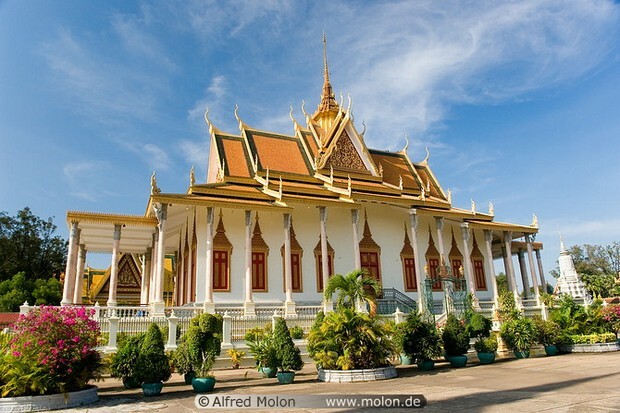 Generally the Vihara is the place of worship for Buddhists, but in Cambodia, Thailand Buddhists go to a Wat. In Viharas and Wats Buddhists don’t pray to a god, but rather into themselves to summon inner strength to complete the journey to Enlightenment. Wats and Viharas also commemorate the life of Buddha and his teachings, those who visit will often meditate upon arrival as to summon peace. There is no regular date to go to these places of worship, but one should visit when they need reminder of Buddhist teachings. The alternate to these is to just meditate at home (which almost all do). Summary: Buddhists will meditate in Wats (generally only in Cambodia, Thailand), Viiharas, home, or at alternative houses of meditation. Buddhism is more a way of life rather than being considered a religion, so Buddhism makes a huge impact within family and social structures. Buddhist always practice the teachings that the original Buddha once realized and therefore it is intertwined within everyday confrontations. Families will generally be considered more peaceful and understanding as they have an ultimate goal, Nirvana. Families might also take time out of what others may use for different activities instead to meditate or sit and watch nature. Even within social structures there is a difference, it is also more peaceful as fighting and anger is frowned upon. It goes against all teachings to let out anger on others if one is to reach the ultimate goal. Summary: The lessons of Buddha are intertwined in everyday life of social interactions and families as well. Culture unites very strongly within Buddhism because everyone that is Buddhist follows that way of life as well as the teachings. Expectations within the culture are very hard though, everyone wants to reach the ultimate goal and those who shun Buddhist beliefs are looked out on. There is no violence or anger but rather sadness upon the one who does not believe. Those within the culture are expected to understand the four noble truths though; the truth of suffering, the truth of the origin of suffering, the truth of the cessation of suffering, the truth of the path leading to the cessation of suffering. Summary: Everyone is expected to understand the way of life and follow it if they wish, especially the Four Noble Truths. The Four Noble Truths: the essence of Buddha's teaching. How is the Buddhism diffused? Buddhism did not proliferate from its hearth, Northeast India. But when Emperor Asoka became ruler of the Magadhan empire things started to change. 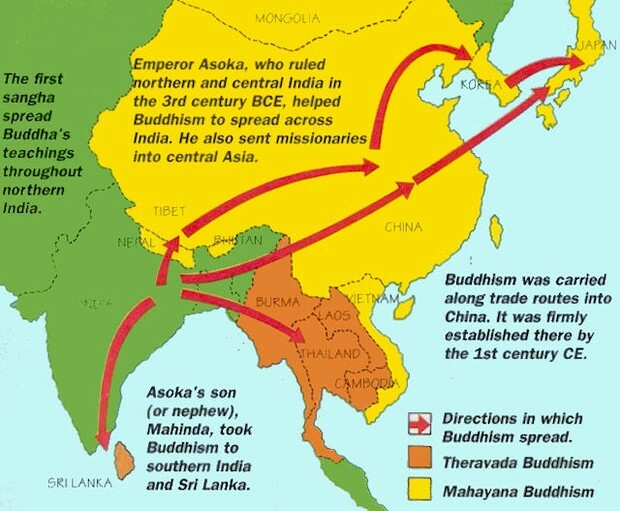 Asoka sent missionaries, who are people who transmit a religion through relocation diffusion, and incorporated Buddhism in everyday actives and socials principles. Buddhism diffused to China by missionaries. The ruler of China allowed the citizens to learn the new religion and adopt it if they wish. Soon Buddhist text was converted into chinese writing and Buddhism became a Chinese Religion. With relocation diffusion and contagious diffusion Buddhism expanded onward to Korea and Japan. In the process it did something quite unique. 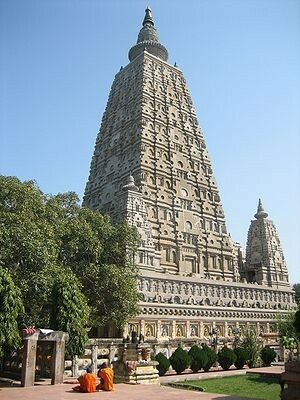 Buddhism lost its original hearth, which was India. In India Buddhism is no longer dominant, Hinduism is. However in Sri Lanka Buddhism still thrives, and is the longest place where Buddhism is practiced. Where is Buddhism practiced today? Today Buddhism is concentrated mostly in Eastern Asian. Countries like Japan, Korea, China, and Sri Lanka have the most Buddhist in the world. How many people follow Buddhism? It is hard to calculate the exact number of people that practice Buddhism because many people have mixed faith, meaning that they practice more than one religion, or combine two religions, for example Shinto-Buddhist, Tribal- Buddhist, Christian- Buddhist, etc. It is estimated that there is about 360 million Buddhist followers. There are a total of 8 holy shrines. 1. Lumbini (located in southern Nepal) is the place where Buddha was born. 2. Badh Gaya (located in southeast of Lumbini) this is where Buddha reached perfect enlightenment. The Bo tree where Buddha sat on , and any Bo tree is considered holy. 3. Deer Park in Sarnath is where Buddha preached his first sermon. 4. Kusinagara is where Buddha died at age 80. 5. Sravasti is where Buddha performed multiple images of himself. Sravasti became an active center for Buddhist and an important monastery was made there. 6. Sankasya is where Buddha preached to his mother in heaven and returned back to Earth. 7. Rajagriha is where Buddha tamed a wild elephant. 8. Vaishali is where Buddha declared his death. How does Buddhism different today than from the past?